As we enter the holiest week of the church year, our country has witnessed two controversial dramas unfold that demonstrate how divided we are and continue to be as a nation and as a society. 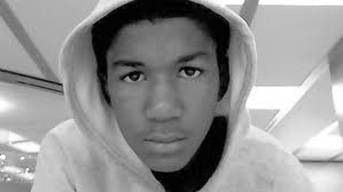 On February 26, 2012, an unarmed 17-year old African-American male wearing a hooded sweatshirt was shot to death in a gated community in Sanford, Florida, a suburb of Orlando. The shooter, an Hispanic self-appointed neighborhood watch captain, claimed self-defense. He was not arrested. The police investigation seemed careless. The shooter’s testimony appeared inconsistent with the evidence. The parents of the dead teen have demanded explanations and the case has become an international cause célèbre that is being played out daily in both print and electronic media. There is no shortage of opinion both in support of the victim and of the shooter. Search the name, Trayvon Martin, and you’ll find more than 700,000 articles relating to everything you ever wanted to know about the case, so there’s no need to rehash the details here. 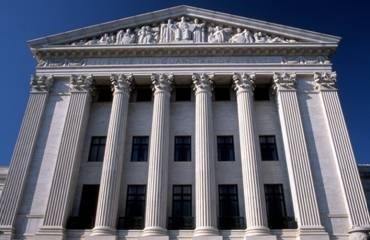 Beginning Monday, March 26, in Washington, D.C., the U.S. Supreme Court heard three days of arguments on the Patient Protection and Affordable Care Act, better known as the Health Care Reform Law or by its pejorative, “Obamacare.” The law, passed by Congress two years ago, proposes that every American be covered by health insurance. At stake is whether Congress has the constitutional right to require that every American buy health insurance or face a financial penalty. The case has become a flashpoint referendum on the Obama administration and on the President himself, since it was his signature bill. One may suppose it a curious twist of fate that these two events have taken center stage as Christians prepare to observe the events that took place nearly 2,000 years ago on the final week of our Lord Jesus Christ here on earth. Controversy was Jesus’ constant companion during his earthly ministry because, as prophets before him, he spoke truth to power, advocating for justice against oppressive governments and systems that victimized the very people they were entrusted to protect. Jesus preached compassion for the poor; healed the sick, made the crippled walk again, gave sight to the blind. He put himself at risk by touching lepers and reinstating them into society. He violated social custom by dining with prostitutes and sinners, thereby restoring dignity to people whom society considered disreputable. In so doing, he went against the grain of the establishment, rejecting their laws, discarding their customs, angering the privileged ones who favored preservation of the status quo and ultimately, paying a dear price – death by crucifixion. As we enter this so called Holy Week, consider the death of Trayvon Martin and the Health Care Reform law against the backdrop of the events of Holy Week. Ask yourself the following questions. How much have we advanced as a society? Do we treat people of color or anyone different from us with respect or disdain? Are we a society that cares for its poor, its ill, its aged, with compassion and concern or indifference and apathy?